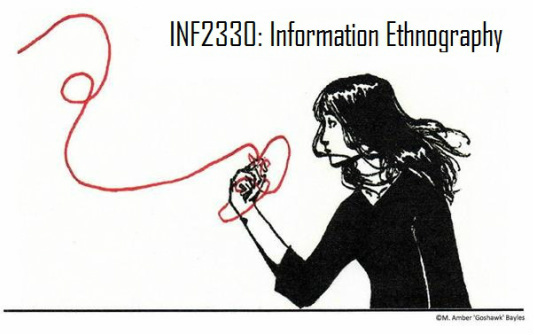 INF2305: The Information Experience in Context has been renamed INF2330: Information Ethnography to better express the content of the course. Here is the Fall 2013 syllabus. An article about the first offering of the course is also available here. in the social texture of people's lives..."
Introduction. In Sessions 1 - 2, the foundations of information research are introduced. Methods Workshop. In Sessions 3 - 7, the tenets of ethnography and the techniques of ethnographic fieldwork are learned in a hands-on fashion. Case Studies. Sessions 8 and 9 include case studies of the home and academic library. Synthesis. 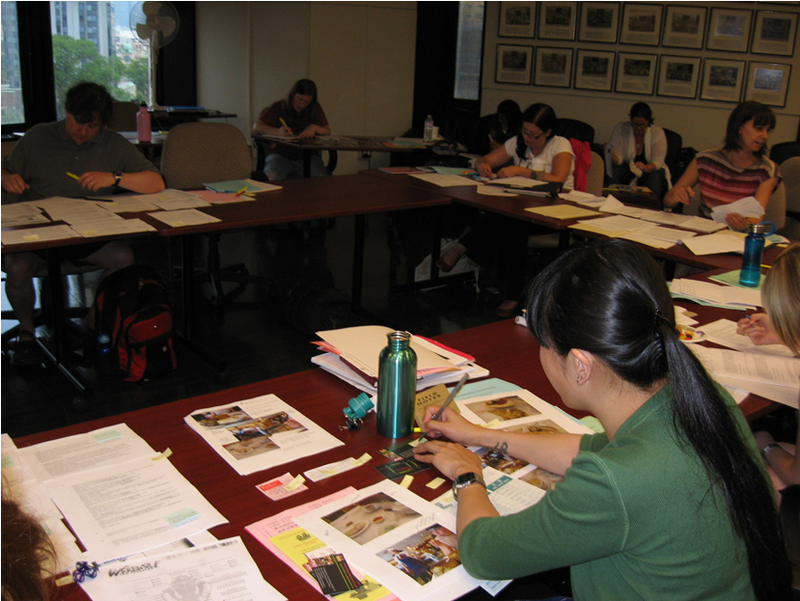 Sessions 9 - 12 feature training in ethnographic analysis and writing. As the semester unfolds, students will refine their observational and analytical skills through an exploratory, ethnographic Research Project about the information experience within a context of personal interest or career relevance. An online forum will provide an environment for peer review and discussion outside of class time. • Awareness of metatheory as a guiding lens for information research, and an ability to recognize major information metatheories and their impact on research and practice. • Familiarity with several major models of information behaviour. • A working knowledge of ethnographic field methods, ethics, and tools such as: observation, fieldnotes, interviews, photography, analysis and writing. • Ability to design and execute a small-scale, exploratory, ethnographic field study that leads to insights on information phenomena. • Understanding of the features of information in the contexts of The Home and 12-Step Recovery. • Specialized expertise in the information experience within the chosen context of personal interest and an inkling of how to transfer discoveries to professional practice. Hartel, J., & Thomson, L. (2011). Visual approaches and photography for the study of immediate information space. Journal of the American Society for Information Science and Technology, 62(11), 2214-2224. Hartel, J. (September, 2011). Understanding Information Technology in the Home Via Photographs: A Detailed Analysis of Swan and Taylor. International Visual Methods Conference, Milton Keynes, UK.